Is AMD’s Radeon RX 470 Good for Full HD Gaming? 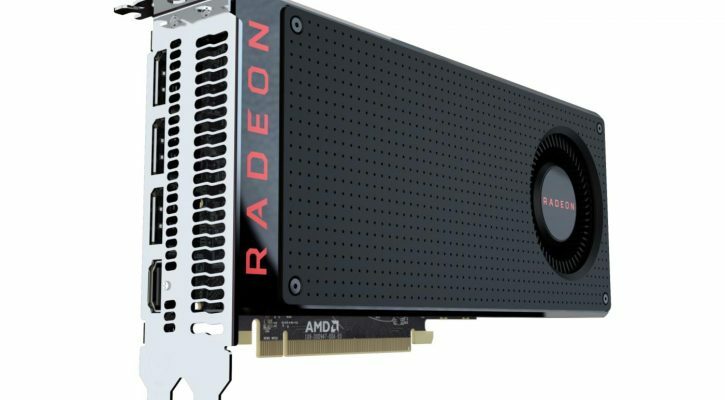 After the launch of the much-publicised Radeon RX 480, it seems as if AMD is dedicated a little more resources to bring their top-of-the-line Polaris GPU to the common consumer. Enter the RX 470 that is going for not more than $180 in most outlets. It is a perfect balance between the high-end RX 480 and other budget entry-level models. However, how robust is this graphics processing unit in handling full HD gaming? According to the RX 470 spec sheet, the graphics processor performance just comes short of the RX 480. And we already know that the RX 480 version handles 1440p playback relatively easily and fluidly. On paper, the RX 470 clocks approximately 1.206 Mega cycles per second. And this is backed up by 4GB of dedicated on board memory – more specifically GDDR5 that is linked to a 256-bit bus. As far as this goes, it is pretty close to the RX 480 computing power of 1.266 MHz and a similar amount of RAM ( 4 GB dedicated onboard storage ). That being said, the RX 470 has less computing units under the hood that the RX 480. At the same time, we have 256 less stream processors and 15 fewer dedicated texture units. However, the number of ROPs here remain the same in the two variants. These comparisons above mean several things. For starters, its a decent piece of tech that would fit the bill of any average gamer. It is not every day that you come across graphics cards with dedicated backplates priced under $200. Secondly, the AMD Radeon RX 470’s performance as far as crunching heavy graphic games is almost similar to that of its bigger brother the RX 480. Lastly, the decent processor clock speed is complemented by a 6.6 Gbps memory speed to boost the fluency of its frames per second transitions. Therefore, it should go without saying this processing unit can handle full HD games comfortably without a stutter.